We started out going to the Public Affairs Committee. Nothing of note really happened there, and it was relatively uneventful. Susan Howard, of the TV show “Dallas” fame chairs that committee. Main topic was on increasing membership numbers, through reaching out to younger people. 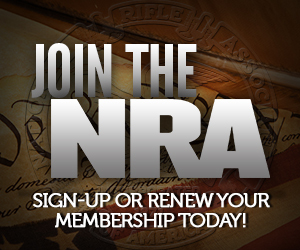 NRA is focusing efforts to attract more members from our police and military, who will tend to be younger. Wayne LaPierre mentioned that a lot of young shooters have parents and grandparents who are NRA members, but have not joined themselves. He also mentioned that the latest polling shows that the public perception of NRA has never been more favorable. Wayne mentioned NRA traditionally hasn’t had a lot of money to do advertising, but they are setting up funds to address that, and get the NRA message out there. Chris Cox’s report to the committee stressed the upcoming elections, saying “at five to four, it’s frightening.” in reference to the fact that the next administration will likely pick two or possibly three of the next Supreme Court justices. After the Public Affairs Committee, Bitter and I made our way to the Civil Rights Defense Fund Committee. Although what goes on there isn’t, strictly speaking, privileged information, it wouldn’t be a good thing for me to spread details to the four corners of the earth. But Civil Rights Defense fund is the committee which funds the legal defense for gun owners who have their second amendment rights violated. One thing about CRDF is they never have enough money to fund all the cases they would like to take. CRDF also funds the research of Dave Hardy and Dave Kopel, who both gave reports on their research to the committee. Dave Hardy, in particular, has done some really outstanding work in the past few months. I’ll leave it up to him to elaborate on that if he wants to, but hopefully he’ll get it published soon, because it’s good stuff. Dave Kopel has been working hard on research on the international front, which we’ve talked about a lot on here. Funding their research is money will spent, as far as I’m concerned. The CRDF also recognized attorney Steven Poss, who convinced his firm to donate hundreds of thousands of dollars worth of legal work to help us win the Heller case. RE: Civil Rights Defense Fund. When I get pressured at work to contribute to the annual United Way drive I write in the CRDF and attach a check made out to the “NRA Civil Rights Defense Fund via United Way”. I have also put in my will a substantial amount bequeathed to the CRDF. Plus, you can be included in the Heritage Society which seems to do some pretty cool stuff. We have talked about leaving some kind of donation once we formally settle down and figure out some estate planning. If would rather have a personal contact, let me know by email and I’ll send you contact info for a great person to talk to in the office. I think this offer would really garner a lot of public attention, and I imagine that while many will not renew their paid memberships. Quite a few would decide to continue their membership and their subscription to 1st Freedom. Furthermore, I think it would help bring D.C.’s pro-gun citizens who’ve mostly been on the sidelines closer together. As an NRA member, I would like to see funds allocated to this decision.